Jennifer studied Criminology at the University of Toronto where she obtained her Bachelor of Arts (with Distinction) in 1996. After completing her undergraduate degree, Jennifer began working as a Human Resources Coordinator for Toronto’s airport management company while completing her Human Resources Management Certificate at Humber College. Over the next ten years, Jennifer worked in the human resources management field for internationally-recognized hospitality and travel companies. 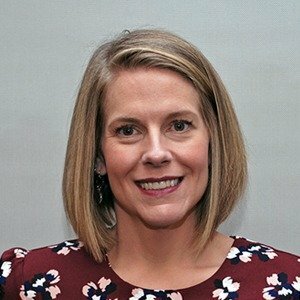 Subsequent to the tragic events of September 11, 2001, Jennifer was responsible for implementing a work-sharing program for hotel employees, who otherwise would have been laid-off due to the dramatic decline in business travel. In addition to her experience with employee relations, Jennifer has extensive experience in managing the workforce impact of mergers and acquisitions. Throughout her career, Jennifer has participated in the amalgamation and divestiture of countless businesses. From the integration of personnel and policies to the severance of existing employment relationships, Jennifer has effectively managed organizational change at all levels. As an active member of the Human Resources Professional Association since 1999, Jennifer holds the designations of Certified Human Resources Professional and Certified Human Resources Leader. Recognizing that workplace conflict resolution was one of her passions, Jennifer completed a Certificate in Alternative Dispute Resolution at York University. She then joined a world-renowned children’s hospital as a Conflict Resolution Consultant. Jennifer went on to study family mediation and became an Accredited Family Mediator with the Ontario Association for Family Mediation. After working in private practice as a family mediator and workplace consultant, Jennifer commenced full-time studies at Osgoode Hall Law School. While at law school, Jennifer interned with the Osgoode Mediation Clinic and the Human Rights Legal Support Centre. Jennifer also represented Osgoode Hall Law School at the International Law School Mediation Tournament, where her team placed first in the “Top Mediator Team” category. Jennifer was called to the bar in 2017 after completing her articles at Ontario’s largest public school board.  Jennifer has completed the Alternative Dispute Resolution (ADR) and Advanced ADR Workshops, the Dealing With Difficult People Workshop, and both the Online Negotiation and Online Difficult Conversations courses conducted by the Stitt Feld Handy Group and the University of Windsor Law School. In her spare time, Jennifer volunteers as a peer counsellor for the Pregnancy And Infant Loss (PAIL) Network.